Works on old and new style wing nut & button style ignitions. Will turn all Ford 10wager sidebar ignitions to the "ON" position in less than 60 seconds. Fast and easy removal, without drilling. No damage to the column or housing. Made of finest hardened tool steel, for long life. Replaceable steel alignment key. Tool steel body has two cutting tabs and special stabilizing ridges for a dependable high torque engagement of the ignition cylinder. 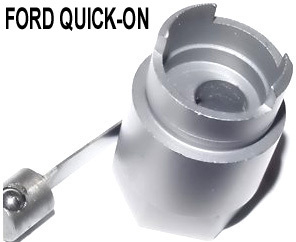 Remove the wing nut, place the tool into the keyway, and strike with a hammer. 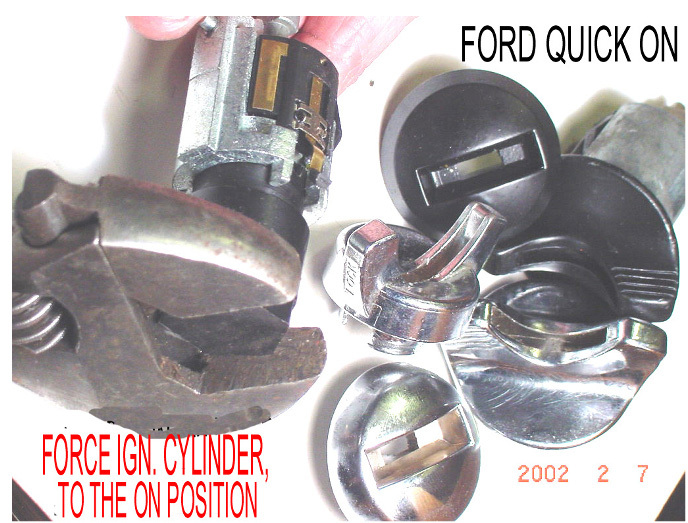 Use a wrench to turn the ignition to the "ON" position for removal. Comes with complete photo instruction sheet. Highest quality and craftsmanship, insure long satisfactory service.